January 22, 2013 will be the fortieth memorial of the 1973 Supreme Court decision in the Roe v. Wade case that legalized the murder of the unborn. However, the day has also been set aside as "Red Envelope Day." It is a day in which Americans will send a visual expression of the moral outrage to Congress and into the Oval Office, as well as, many offices of those in the mainstream news media. It will also be a time when hundreds of thousands of Americans march on Washington, D.C. to give voice to the 56 million babies that have been murdered in their mother's womb since the Court's decision. 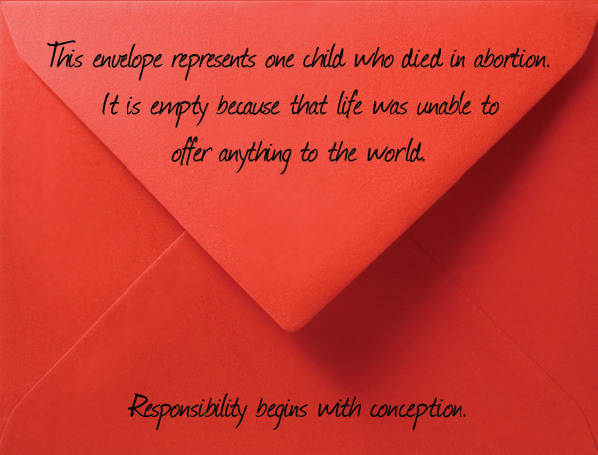 Proceeds of the campaign to send 2 million red envelopes could benefit pro-life organizations by $1 million. 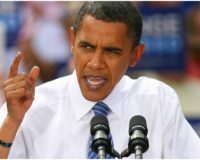 President of Operation Rescue Troy Newman said, “Although Obama was re-elected, the pro-life movement is undeterred and will never compromise on the issue of life. Hundreds of thousands of pro-lifers will endure the harsh winter conditions to march from the White House to the Supreme Court on Jan. 22, as they have for the past 40 years." “The Red Envelope Day campaign is sending a message to the lawmakers that they picked a fight with the wrong people,” he said. “The faith community will not comply." Andrea Trudden, spokeswoman for Heartbeat International, said, “We must do everything we can to encourage life within our nation, and that starts at the top. Click here if you want to help support the campaign to send at least 2 million red envelopes and let your voice be heard on behalf of those who do not yet have one.